For some, the process of moving in is easier than moving out. When your student moves in, they neatly pack their items in a suitcase. Their towels, sheets, comforters, and décor are new, clean and many times still in its original packaging. Moving out? Not the case. 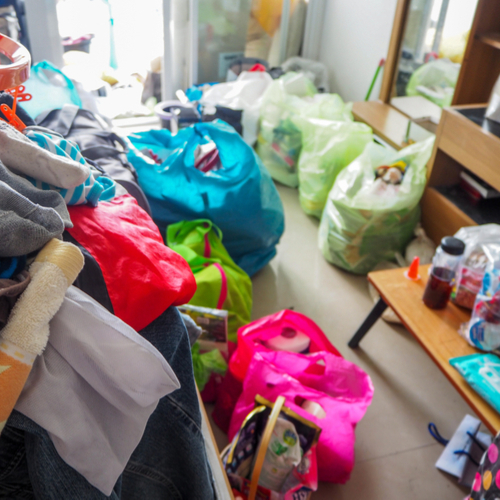 Items are shoved in garbage bags, clothing is piled into a suitcase and the suitcase is sat on so that it can be zippered. Towels and sheets haven’t been washed all semester and can practically walk home! Needless to say, it can be just as stressful as moving in. For some students who are coming back to school for the summer session, their items can be stored. Some students can move their items into their next year’s apartment and some just don’t want the hassle or see the necessity to bring their refrigerator or microwave home. For these students there are options. UNF’s move out date for Springs of 2019 is April 26th by 3:00 pm. That means that on or before April 26th all students must have moved out and been checked out of their dorm room by their resident advisor. April 26th is the last day that students can be in their dorm rooms; that doesn’t mean that they won’t have a final on that day. I have two older sons (which helped me a lot in preparing for my daughter’s first year at UNF) and I tell them every year a few weeks before finals to start preparing. Clean out and throw away whatever they don’t need or use anymore. Although it may not seem like much, it is a start to a process that you don’t want them to begin the day you are picking them up. They can organize items into things that they need to bring home and things that they want to bring to storage. Public Storage – 3424 Southside Blvd, Jacksonville. Offers $1 for the first month and monthly rentals. Several locations. These are just a few local storage units. As I mentioned before your student can check with their apartment complex, depending on when their lease starts. Students can often store their items in their new apartment or even in a storage area within the apartment complex. Some other options include companies like Dorm Room Movers Spaceship division which sends your student boxes and they pack and print labels. They then will send UPS to pick them up and ship them to their nearest facility. The cost is monthly, by-the-box and when your student is ready to receive their items, they log in and request them and they will be shipped back to them.